Opening in January 2016 in Hong Kong, the suspense romance THE SECRET (SIU SUT DIK OI YUN) two days ago held its Beijing press conference. 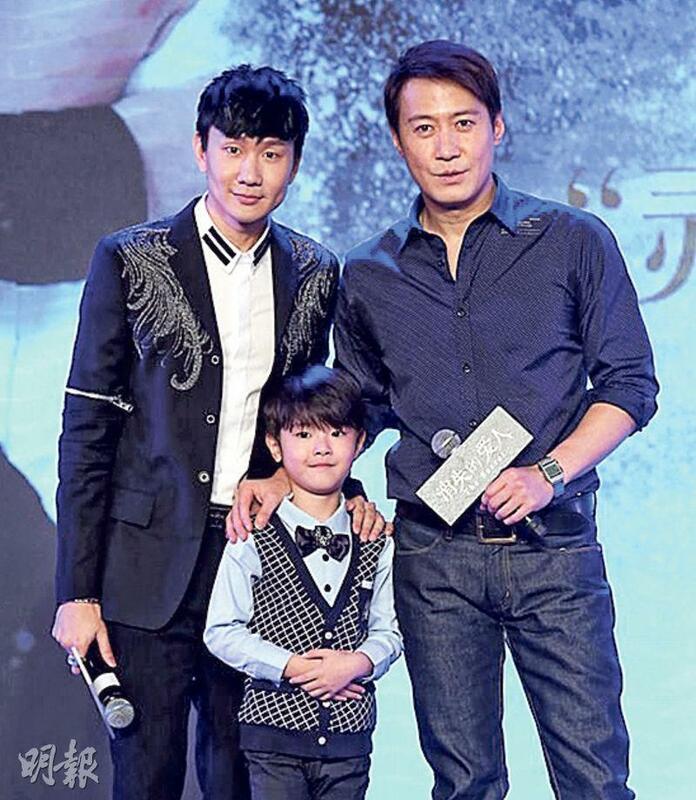 Director Barbara Wong Chun Chun with actors Leon Lai Ming, JJ Lin (Lam Chun Kit), Sandrine Pinna (Cheung Yung Yung) and child star Emil He attended. The latest Lai Ming solo film poster was also unveiled, with Lai Ming laying in bed alone while holding the spot that originally belonged to his lover. Lai Ming even presented a certificate to JJ to announce that he has officially become an actor. JJ this time not only gave himself to acting but also provided his singing in the film theme song ANYWHERE WITH YOU. He even performed the song live in its global debut. Lai Ming and JJ both were singer turned actors. This time in the film they played close cousins. Lai Ming even revealed that on the set he would give advice to JJ because he felt JJ was very talented. JJ also said that the golden words from "Cousin" were very useful, enabling him to find short cuts on his performance road. The film mentioned that "Only love can make you see someone's soul", Lai Ming suddenly questioned JJ out of jealousy, "How can you see 'cousin in law' Wang Luodan's soul?" JJ answered, "Because you and I are close like brothers!" Lai Ming in the film even became a father. He sentimentally said, "As an actor, I feel I am very suitable for this film. I don't have any children, I am even a divorced man. In the film I also lost my wife, but you can't always think about the negatives in life. I won't be afraid either."